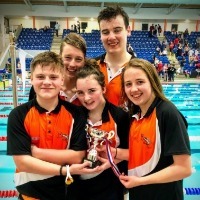 Swimming is a fantastic sport and all our volunteer coaches and committee are dedicated to giving all our swimmers the best possible experience in this sport. 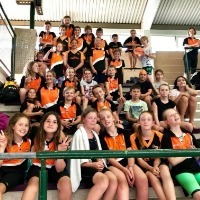 We are a member of the City of Bristol Aquatics Network of clubs which gives our swimmers the pathway to progress to the very highest levels of the sport. 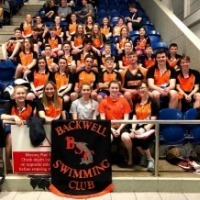 Our more experienced swimmers are encouraged to enter various Open Meets throughout the year including the Somerset Development Meet in October and the Somerset County Championships held in Jan / Feb.
Our Club Championships are held annually between September and November giving all swimmers the opportunity to swim under competition conditions on their home ground here at Backwell. You are welcome to come and see our facilities at any time during one of the Club training sessions. There is always a member of the Club Committee or coaching staff on site who would be pleased to answer any questions which you may have. Congratulations to Shaza Lee for receiving the Swim England South West Volunteer of the Month for April award. More details by following the link.